We hear this all the time when patient’s talk about their experience on the Pro Chiropractic HydroMassage Massage Therapy Beds. Gone are the days of feeling rushed and herded through the chiropractor’s office like cattle. At Pro Chiropractic you can relax and enjoy warm waves of water melting away the stress of your day, before or after your chiropractic treatments. 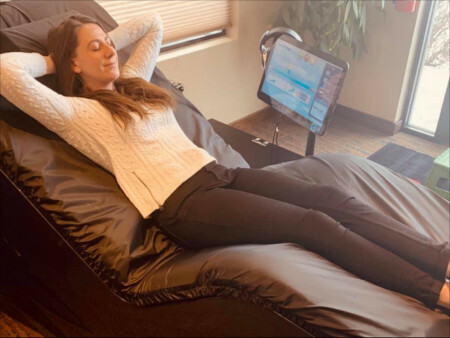 Chiropractic massage therapy using the Hydrobed and HydroLounge is an effective way to relax and unwind tight muscles and tense joints before or after a chiropractic adjustment. Pro Chiropractic offers both the HydroBed and HydroLounge options for patients at the Bozemman and Belgrade Montana locations.